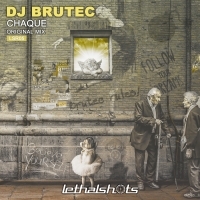 Lethal Shots push boundaries once again - this time courtesy of DJ Brutec with Chaque. Funky techno with dark undertones and added bass clout are the order of the day here. Guaranteed to make the floor groove, cool vox stabs, acidic mid range tones and funky drums keep Chaque moving with precision throughout with unrelenting pace. More quality from Lethal Shots and a top production from DJ Brutec. 'Chaque' is available now from Beatport and iTunes.